Were Harvey and Florence Unique or Will More Storms Stall Out? This is an excerpt from the TigerRisk Hurricane Spotlight. 2017 and 2018, Hurricanes Harvey and Florence made landfall on the continental US. Both storms stalled at the time of landfall wreaking havoc through long-duration wind exposure and excessive rainfall. In the following paper TigerRisk discusses what causes storms to stall and the history of stalling storms. 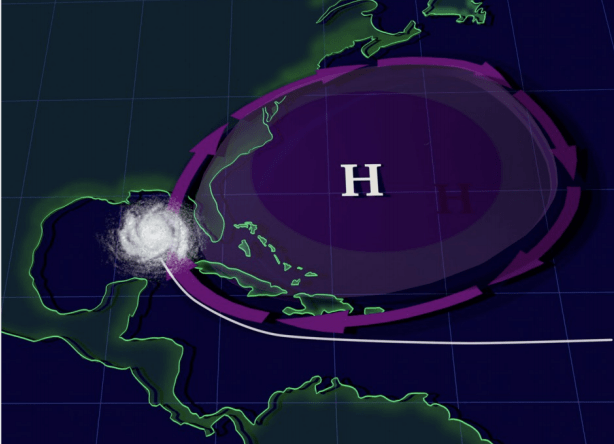 Is this a new phenomenon of hurricane behavior or mere coincidence that this occurred in back-to-back years? A storm is classified as stalling if its forward speed is 6 mph or less for at least 12 consecutive hours. The following references to “stalling” Atlantic tropical cyclones (TC) use the HURDAT2 data set consisting of temporal, spatial and descriptive information of cyclones from 1851 – 2017 . 1. The cyclone makes US landfall with at least tropical storm (TS) strength (maximum sustained wind speeds of at least 39 mph). 2. The cyclone stalls inland within 100 miles of the coast or 50 miles out to sea. 3. The cyclone produces wind speeds of 40 mph or more on average during the stall period. Stalling Hurricanes Wreak Havoc Were Harvey and Florence Unique or Will More Storms Stall Out? Globally, the forward speed of tropical cyclones decreased 10% from 1949 to 2016, though the magnitude varies by basin, latitude and whether the cyclone is over ocean or land. This slowdown trend has been observed in all basins except for the Northern Indian Ocean. Significant slowing of 16% and 14% are observed in the western Northern Pacific and the southern Hemisphere, around Australia, respectively. Cyclones have also been sluggish over land with a decrease of 21%, 16% and 22% over the western North Pacific, the North Atlantic and the Australian land mass regions, respectively. The causes are debatable, but there is evidence that anthropogenic warming is causing a general weakening of summertime tropical circulation (rising air near the equator, flowing poleward into the subtropics where it descends and flows back toward the equator), and since cyclones are carried within their ambient environmental winds, it is plausible to expect their forward speed to slow with warming as well. Moreover, a warmer atmosphere increases water vapor capacity, leading to increased precipitation rates . Texas and Florida experience the most landfalling tropical storms at 15% and 36% respectively, and so it is not surprising that they also experience more stalls. When compared to their landfall frequency, Texas has been hit by a disproportionately high number of stalling storms, 27%, whereas Florida has been hit by a disproportionately low number, also 27%. Hurricane Harvey in 2017 was a rare event from the standpoint of landfall strength (stalling storms tend to be category 1 or weaker at landfall), rainfall accumulations (Harvey caused a 1-in-1000-year flood event), and stall duration. Hurricane Florence was more typical with respect to duration and landfall strength, but it occurred over the Carolinas, an area that has experienced only three stalling storms in the past, none of which caused excessive rainfall. It is important to continually examine the past to help understand the events of today and in the future. From this research we conclude that stalling tropical cyclones are not new and have been accompanied by extreme rainfall in the past. Considering the growing exposure in coastal areas, the risk from stalling hurricanes may be growing even if the frequency is not. More research is required to understand the unique risks posed by these kinds of storms which are sure to reappear in the future.